The Seattle data-visualization company appoints Adam Selipsky to take the place of co-founder Christian Chabot, who is stepping aside but will remain at the company as chairman. Longtime Tableau leader Christian Chabot is stepping aside from the chief-executive role amid the company’s push to bring in larger business clients and expand its cloud-computing products. The business-analytics company has tapped cloud-technology powerhouse Adam Selipsky, former chief operating officer of Amazon Web Services, to take over as president and CEO. Selipsky led sales and marketing at Amazon’s booming cloud-computing division, serving as a top executive from 2005 until mid-August, when Amazon confirmed his departure. Selipsky officially starts as Tableau CEO on Sept. 16. 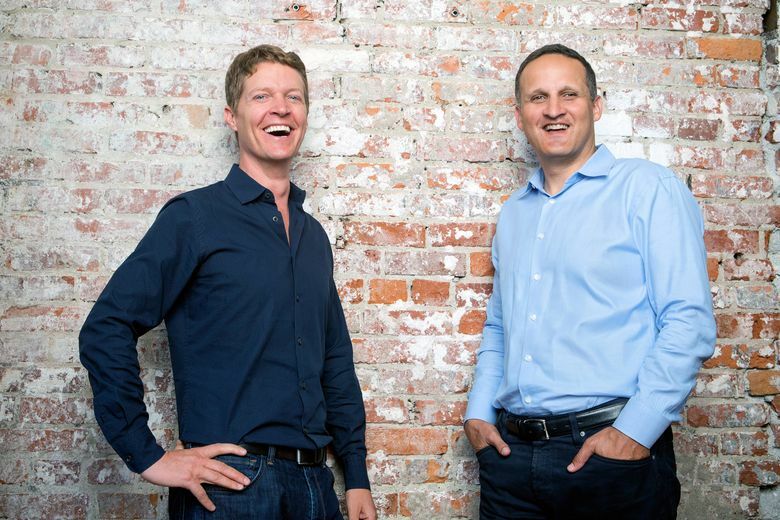 Chabot, one of three co-founders of Tableau, will stay on as chairman, and he emphasized Monday he will be “very engaged” with the company. “We have someone in Adam who brings operational scale and management experience superior to anything we have on the team today,” Chabot said in an interview. The company, which provides tools to create visualizations from data sets, expects to see more than $800 million in revenue this year. The time was right for an executive with experience leading a huge and growing company, Chabot said. Investors have punished Tableau in the stock market recently, as the company faces increasing competition, including from Microsoft. Analysts point to concern over Tableau’s slowing revenue growth, but some say such “growing pains” are common for a company of Tableau’s size. Tableau’s stock price dropped 50 percent to about $37.22 in February and has yet to recover fully. The stock closed the regular trading day Monday at $54.8. It rose nearly 6 percent at one point in after-hours trading — after the executive moves were announced. Chabot downplayed concerns about the stock market, saying the decision to bring in a new executive was originally his idea. “Studying the short-term stock-price changes will drive even the most intelligent person absolutely mad,” he said. Tableau has been hunting for a replacement for its longtime sales chief, Kelly Wright, who is retiring at the end of the year, but many candidates were more suited for the CEO position, Chabot said. Tableau has not added new executives since before its 2013 initial public offering. “I think investors will be wondering ‘What took so long?’ — not ‘Why now?’ ” Chabot said. The company still plans to hire a new sales leader, a spokeswoman said. Chabot has served as CEO since he co-founded the company with Chris Stolte and Pat Hanrahan in 2003. He spent a year in London when Tableau started expanding aggressively overseas in an effort to push the company to focus on its international business. The decision for Chabot to step aside comes as a bit of a surprise, UBS analyst Brent Thill said, but Selipsky seems to be the answer to fill any gaps in Tableau’s business as it grows. Stolteis also moving within the company, becoming a technical adviser, while his No. 2, Andrew Beers, will become chief development officer. Tableau reported a growing loss of $47.5 million in its second quarter, but revenue from cloud products grew more than 100 percent. In addition, a shift to more subscription-based sales mitigated investor concerns. The subscription model is becoming more and more popular among software companies, partly because it means a predictable amount of revenue comes in at consistent times, rather than big chunks as companies close big sales. Chabot said that in his new role he will focus on long-term strategy and promoting Tableau to customers. Tableau has more than 46,000 customers. The company, which has more than 3,240 employees worldwide, is developing a new headquarters in Seattle’s Fremont neighborhood and also expanding into a Kirkland tower now under-construction.